These horses were found running loose in Bradyville. The horses have been relocated but need a temporary home until the owner can be found . 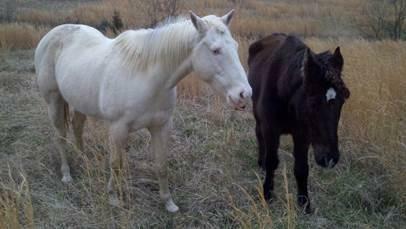 I need your help in finding the owners of these horses. The only thing that will be asked of the horse owner is a reimbursement of feed costs. If the owner cannot be found, the horse will be available to adopt or sold as soon as the sheriff department releases the animal (March 23). Thanks to those in the Bradyville community which assisted with keeping the horses off the highway. For more information contact the Cannon County Extension Office (Bruce Steelman) at 615-563-2554 (cell 542-1364).